160 Cannot continue the operation. There is another install operation in progress. 1 The copies of profile C__entw_base_setup-mars-trunk_PSIeclipse are not in sync. By adding the following code below to your website you will be able to add an install button for Subclipse. I'm fairly new to Eclipse, but have been using SVN forever. 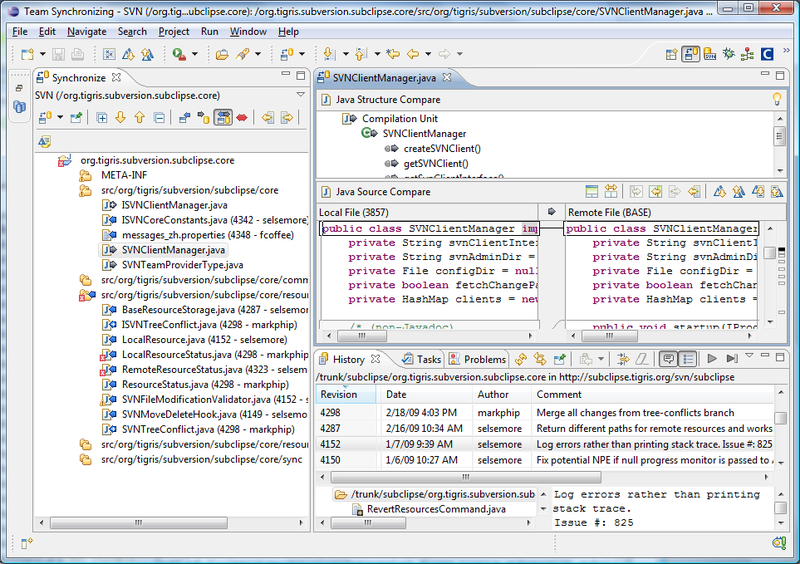 So, one of the first things to do in Eclipse was to attach my SVN repositories. Looks like Subversive is kind of the recommended plugin for that, so I tried it first. The installation of the Subversive plugin was messy; on installation, it claimed that the "SVN Team Provider 2.0" component wasn't available, "install anyway?". Oops, that's the plugin I was going to install, so why not install it even though it claims not to be available? ;-) On Eclipse restart, it didn't show the dialog for that other component needed, an SVN connector. Now where do I get that from? The Subversive documentation was vague about that, just saying "make sure you have at least one connector installed". This started to become a lengthy project, when all I wanted was to connect Eclipse with my SVN repos. Luckily, the Marketplace came up with Subclipse, albeit ranging #4 there. Oh wait, that's provided by Tigris, the makers of SVN? Hey, why don't you list that one first? Anyway, installed it, restarted Eclipse, and done. Works out of the box. 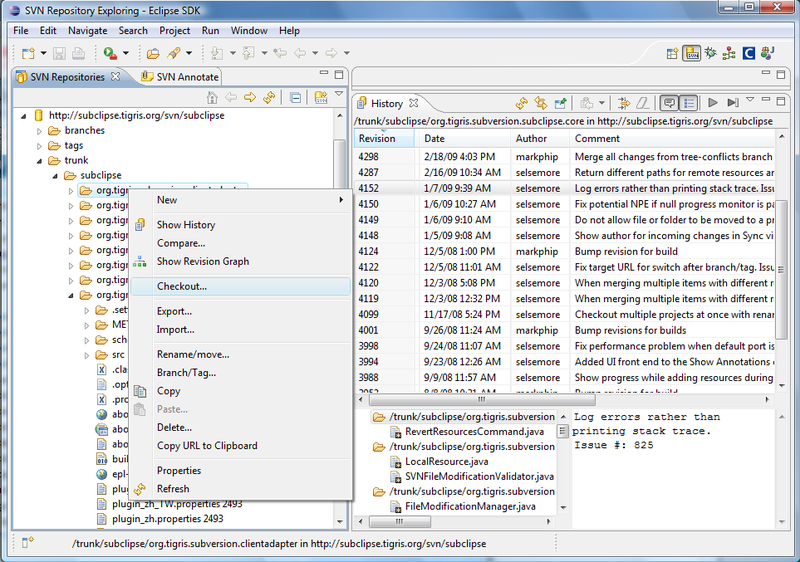 Subclipse can be found by clicking the Open Perspective icon in the upper right corner of Eclipse. SVN Tortoise users will find some similarities with Subclipse. Nice tool, thanks much, makers of SVN! I like that Subversion works just like the CVS plugin. But boy, what a problems getting it to work with the 64-bit version. Selecting all items to install did not work due to dependency problems. I finally tried with subclipse and that worked without any problems. But I still have a hughe question; why isn’t it supported by default (as in: build in) ? 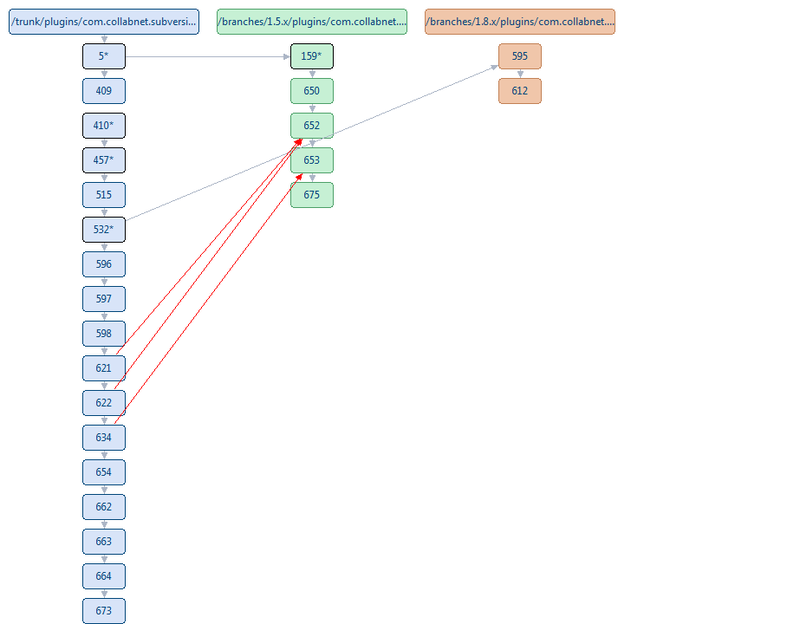 Surely SVN is becoming the favorite in contrast to CVS. I think Subclipse must be the best Subversion plugin for Eclipse. It comes from Tigris.org, the Subversion people, so it's no surprise that it's good. I used Subclipse a couple years ago for a WebObjects project. It worked well and I was happy with it. Later, I started work on some PHP projects, so I installed a new version of Eclipse just for that. (My WebObjects environment seemed delicate and I wanted to keep things separate.) At that time, I decided to try Subversive. It worked well enough at first and I liked the way it marked changed resources in the navigator views, but as time went on, problems appeared. Annoying things started happening with Subversive. I had to answer the password prompt twice with my first commit each development session, even though I saved my password. Sometimes, my commits would just fail without details about the problem. So I recently decided to try switching my PHP environment in Eclipse to use Subclipse. I miss a couple little things from Subversive, but when I'm using Subclipse, it just works well and every time. I feel much better. It makes my development so much easier. I suffered the same problem as sunshuhua in that the update (or archived update) would loop trying to get org.eclipse.net4j.jms.api_3.0.0.v20100614-1655.jar.pack.gz when running eclipse Helios under Java 7 (build 1.7.0-ea-b59). 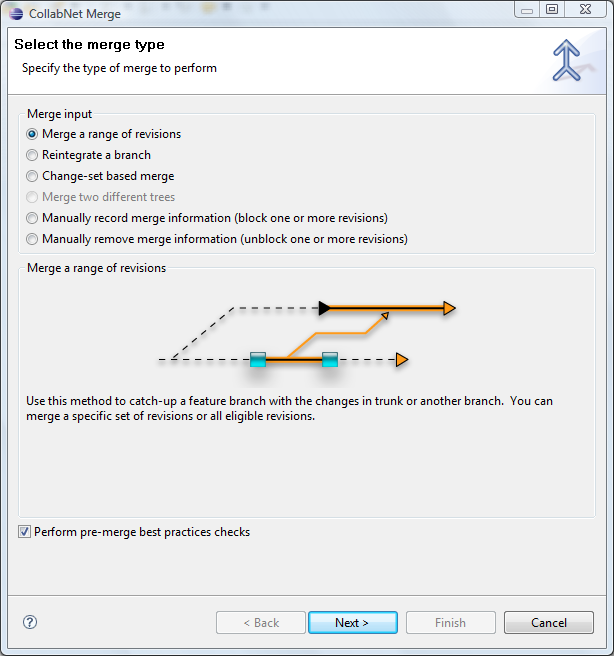 When I switched to run Eclipse under Java 6 update 21, it all worked fine. 'Installing Slftware' has encountered a problem. Comparison method violates its general contract! This is a really good plugin. My only complaint is that I have to continually add it to every Eclipse version, which in itself is not so bad. The problem comes when I want to give someone access to my SVN libraries. Please, please, please, let's just get this thing in the core product.